Antoine Martin from Guadeloupe is famous for his crazy multiple Pushloop rotations. 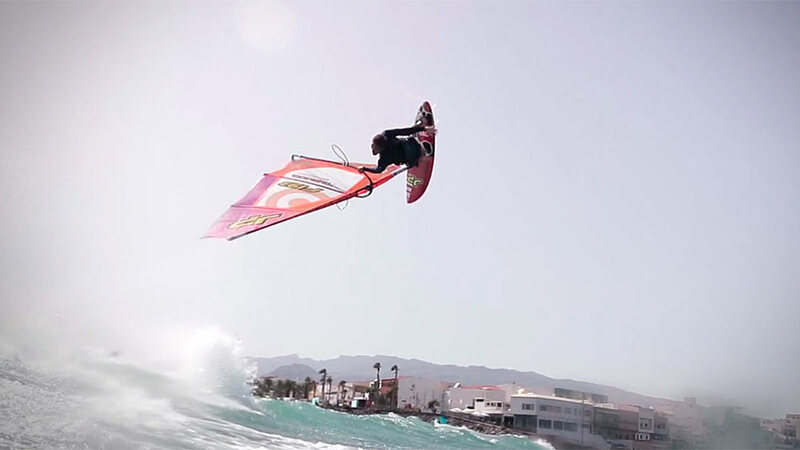 And yesterday was the day: During his evening windsurfing session at Pozo Izquierdo Antoine rotated through this Double Pushloop attempt. It was the first time we saw this move live and we are pretty happy we captured it. We are sure he will land it soon. In 2016 the guys from KSB Collective travelled to Gran Canaria to produce an action packed movie featuring Antoine Martin. Antoine Martin is 23 year-old wave windsurfer and known as one of the most radical free sailors and known for his crazy crashes. Yeah ! Dimitri is right, don’t kill yourself. So, I think you have to use more the camera to know what you are doing exactly in this crazy rotation. Is there anyone to help Martin for is reach for the graal ? Certainly looks landable by a daredevil like Antoine. Reminds me of the early double forward attempts by Teriitehau that were WAY more radical than what the actual double forward looks like. But it did set the wheel moving. Good job Antoine, help the sport evolve (but don’t kill yourself doing it please)!